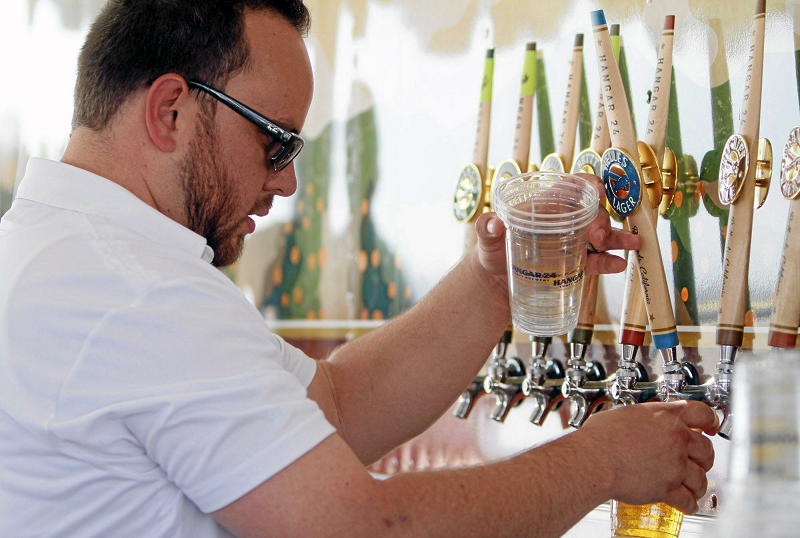 Saturday (May 14) marks Hangar 24 Craft Brewery’s biggest event of the year, its AirFest and eighth anniversary celebration. The daylong event features something for everyone: A full afternoon and evening of aerial performances; a trio of live bands, including Lights, a Journey tribute band; a bevy of food trucks and a kids zone. Oh, and plenty of Hangar 24 beer. More than 35 varieties, in fact, including this year’s anniversary ale, a single-hop India pale ale with a very drinkable 5.5% alcohol by volume. The event will run from noon to 10 p.m. at the Redlands Municipal Airport, 1755 Sessums Drive. General admission tickets are available online for $17 (plus a $1.84 service fee) and will be $20 at the door. Kids tickets (ages 6-12) are $5 (plus a $1.24 service fee if purchased online in advance). Kids younger than 6 get in free. Also available in advance are beer tickets at $7 (plus 21¢ service fee) if you want to avoid having to wait in line at the festival. However, if you want to go for free, all you have to do is give a pint of your blood. Hangar 24 and LifeStream have partnered to give blood donors a free ticket to the event. However, the offer ends today (May 10). Those who donate at LifeStream’s San Bernardino, Riverside or Ontario centers today will receive — while supplies last — a complimentary admission voucher. The voucher must be exchanged at the brewery before midnight Friday (May 13) for a ticket to the event. More details on the giveaway are available here and here. Proceeds from the event benefit Hangar 24 Charities, which is dedicated to supporting local children’s and national veteran’s organizations that strengthen well being, education, and health. For more information, click here. Click here to purchase tickets. In other Hangar 24-related news, owner Ben Cook and his brother Chris have donated $50,000 to the Loma Linda Ronald McDonald House expansion project. The funds will be used to help create an additional room to house families whose children are being treated for serious and terminal illnesses.